Protech Sprint Automatic Knife. Protech's all new, tip down carry pocket knife with reversible pocket clip mde with S35-VN steel. 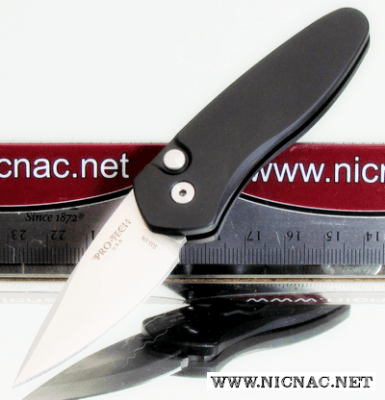 This slim new design is perfect for every day carry at 5.05" overall length with a blade just under 2".